The Contact Zone series is a book publication project initiated by the Goethe-Institut Kenya to document the fast growing and vibrant Kenyan art scene. Before 2012, when the project began, information of the local art scene was scattered and documented mostly through single newspaper articles. 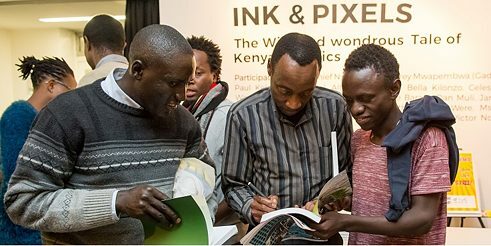 Through the book series, the Goethe-Institut has published 27 books, documenting the art practice of various local artists, art collectives, socially relevant topics as well as those reflecting on the history of the country and growth of the Kenyan art scene. include in a second series, intellectual articles from Kenya.